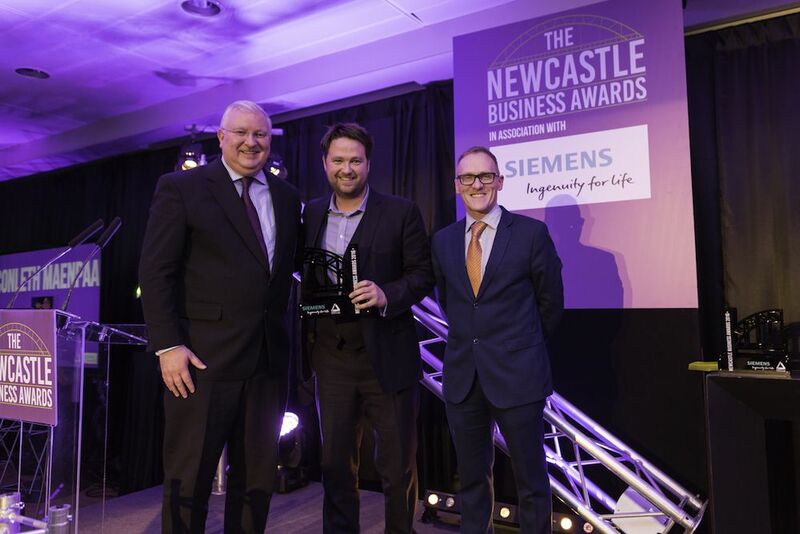 This year’s headline sponsor Siemens announced Conleth Maenpaa, founder of Lindisfarne Festival, as their Special Recognition Award winner for 2016. Founded back in 2014, Lindisfarne Festival which is now about to launch again for its third year, was the brain child and dream of former recruitment agency owner Conleth Maenppa. With a successful business based in London, Conleth gave this all up to move to the North East and start up the region’s first 3 day camping festival. After it’s second year, Conleth has created a unique brand and loyal following increasing year on year revenue and footfall by 30% with plans to grow further in 2017 and early bird tickets going on sale on 28th November. Not just about the music, Lindisfarne Festival had ambitions to be much more, differentiating itself from the competition with a unique, brand identity centering on fun, togetherness and nature. Set in an area of natural outstanding beauty on Beal Farm, Northumberland overlooking Holy Island, the festival for over 18’s is also a celebration of culture and the arts, with workshops, poetry and comedy running alongside the eclectic line up of music. “Both myself and the Lindisfarne Festival team are honoured to accept the Siemens Special Recognition Award. We have worked very hard over the last few years to build a credible festival brand for the region to enjoy and we are overwhelmed by the support we have had. It’s not been an easy ride, as many of these things often go when you are building a brand for the first time, but we held our nerve, worked hard and are proud to have created a weekend people want to come back to year on year. Also shortlisted for the Grass Roots award at the UK Festival Awards, Conleth and the team are now focusing on making the 2017 event even bigger and better whilst still retaining its independence and intimacy.